• On the 9th December 2014 I was preparing to leave work to have my third baby. I was just wrapping things up at work and ready to focus on the next few weeks when labour started. I was looking forward to spending Christmas wrapped up in a happy family bubble. I had an image of me holding my baby in front of a log fire and watching the excitement of Christmas through the eyes of my two young boys. • Our third boy was born at home, following an incredibly quick labour and not at all the calm experience I had planned. I was showing him to his brothers just as I had imagined, all at home together. Everything should have been perfect. • Something was not right though. The midwife was still there and glances and whispers were already stealing my happiness and a small feeling of unease was growing inside me. 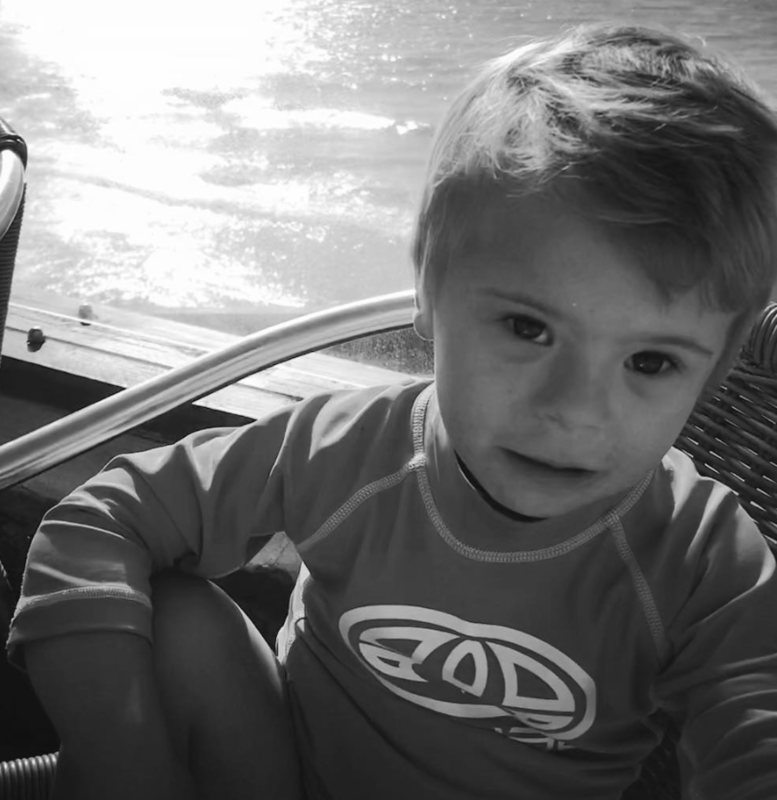 • My husband suspected our baby had Down’s Syndrome. I didn’t know much about this except that it was absolutely the worst thing that could happen, wasn’t it? • The midwife asked if I had been high risk. I had not asked for tests, not as a conscious decision but just because I had not worried about things that I believed only happened to other people. At this point I knew everything would be fine and was just frustrated that our special time was being spoilt. • The next day a consultant gently confirmed the diagnosis. Denial immediately shifted to grief and shock. I had suddenly become ‘that’ person. The person that the unthinkable happens to while other people are clutching their own children tight. So grateful it is not them. Every time I saw the other new mothers in the hospital with their babies I felt completely different. The balloons and celebrations and happy family visits all accentuated how very different my situation had become. • We called our baby Ted and I stayed in the hospital with him. I held my baby in my arms and fed him through the night yet still I grieved. I was overcome with grief for the loss of the baby I was expecting and the life I had planned. To grieve for a baby that you are holding and the simultaneous mixture of disappointment and love is impossible to explain and hugely overwhelming when coupled with the postnatal hormones in your body. • The next few hours and days were difficult. It was hard to know how this would affect our marriage. There were things in your head that you didn’t want to admit to yourself let alone say out loud to someone else. It could have divided us but we clung to each other and became closer than we had ever been. We both felt that we were experiencing something that no one else around us could exactly understand. • At that time, all my emotions and responses were based on my views of disability. This would be awful. Life would be miserable and full of hardship and difficulty. 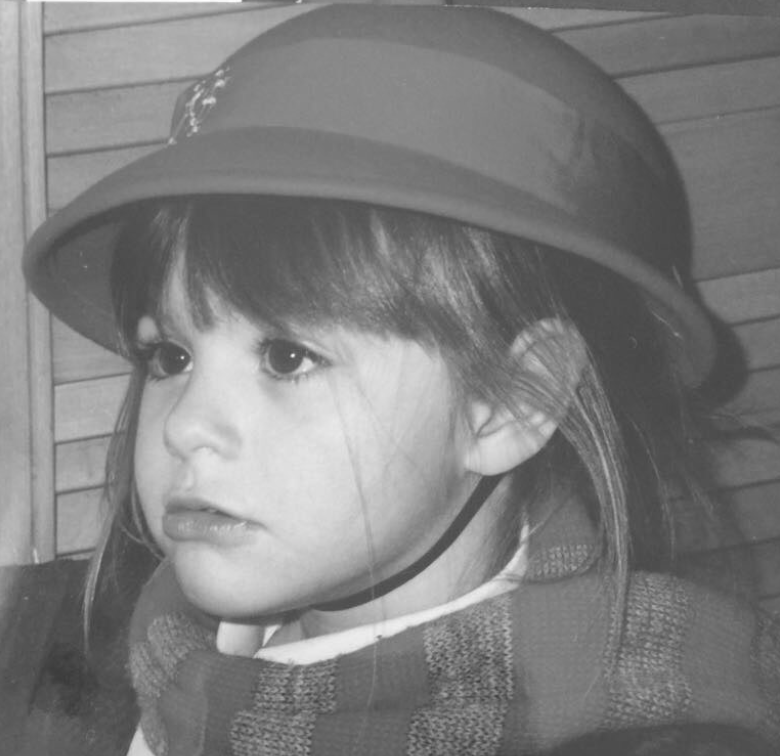 My head was filled with a nightmare born out of what I knew of coping with disability. I knew I loved Ted but my heart broke for the misery and difficulty and the burden he would be to our family stretching into the years ahead. • The next few weeks were all about realising the level of my own ignorance. A week into Ted being in special care the consultants were doing their rounds and I noticed the consultant glancing at me imagining he was full of pity for our situation. • He stopped after his rounds and came back. The doctor reminded me I had a healthy baby, Ted was in for support feeding and had no heart or other health issues. He explained that what you are born with is only part of the story; your potential is determined by your family, your upbringing, your education. He agreed that there would be some things Ted was never going to be. I mean our boy was not going to be a rocket scientist and if we had hoped for that then we may be disappointed but it is not a tragedy! He suggested we take home our baby, love him like his brothers, discover his passions and skills and encourage him to fulfil his own potential. • Something changed in both of us at that moment. He had explained it in a way that suddenly made me feel so selfish. He was right: I had a healthy baby and yet was sulking because he might not be as good looking, clever or sporty as I had hoped. What kind of mother thinks about their child like that? We went for lunch and started to talk about the things that Ted would do rather than what he wouldn’t. We have never stopped doing that! • I had avoided the internet and dreaded Google searches. I still knew very little about Down’s Syndrome. A friend suggested a social media page and with a few clicks suddenly all the dark outdated stereotypes I held started to melt away as page after page flooded my phone with pictures of beautiful, happy children enjoying holidays with their families and inspiring stories of talented actors, models, musicians, athletes and photographers. How had I not known about this? Suddenly raising Ted seemed like it was going to be a great adventure and the possibilities for him seemed endless. • So where are we now? Ted has only just turned three but from the moment we left the hospital at 9 days old it was over to him to teach us. We had come to terms with the fact this was no great sadness but we were yet to learn what else this journey would bring. • We were told he would likely have multiple health problems in his first year and he’s just turned three with barely a sniffle, passed his hearing, eye and thyroid tests. So we have learnt to deal with problems as and when they arise rather than worry about things that haven’t happened. • As weeks and months went by we found unexpected happiness in the things that perhaps we would have taken for granted. Milestones that were largely ignored with the older boys are hugely celebrated because Ted has had to work so much harder and we’ve had to wait longer for them. • We watched his older brothers’ relationship and love for him developing a kindness, empathy and tolerance you cannot teach. The smiles and effect he has on friends and strangers alike is a constant pleasure for me. I am so filled with pride for this funny and cheeky little boy. • I was sad in December 2014 because I believed my life was perfect and possessed all the things you needed to be happy. A nice house, good job, healthy and happy children. I believed that would all change and life would be difficult and I would be less happy and things would be less perfect. • I think loving Ted has changed me for the better. I am not the same person that was preparing to give birth in 2014. I sometimes look back and notice that my focus was on so much that seems shallow to me now. • I never want to sugar coat things; some things would undoubtedly be easier with a child that had walked before he was three years old! Nobody wants to fill in extra forms or have extra check-ups at hospital and I certainly now take for granted how simple starting school is for my other children. • But raising Ted has been one of the things that has brought me most satisfaction and joy in my life. It is almost like the day he was born he popped the cork off the ordinary and we started a more colourful and interesting journey into the extraordinary. This is so far from what I imagined at his birth. 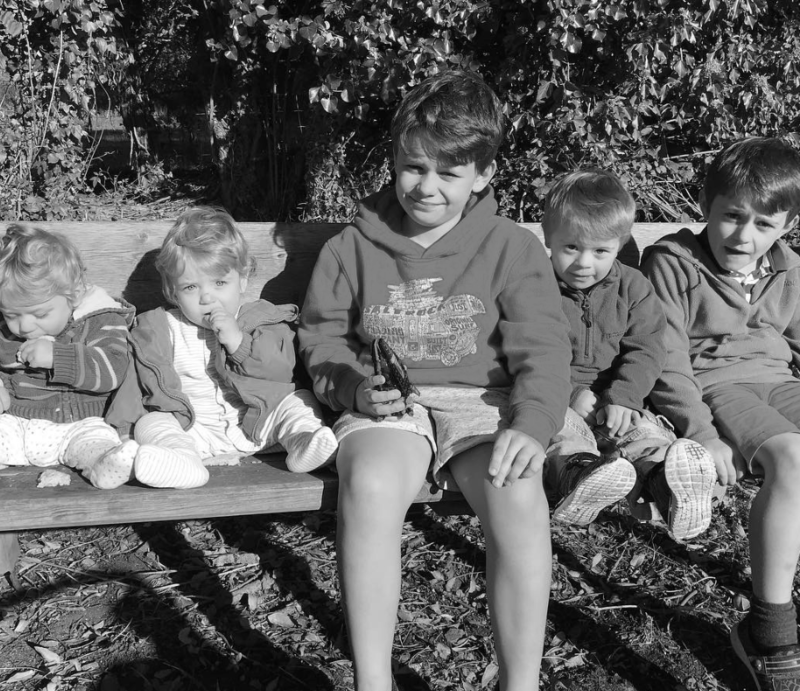 • We do share what we hope are honest, light hearted glimpses of family life and the trials that come with raising five little boys on our Instagram page. 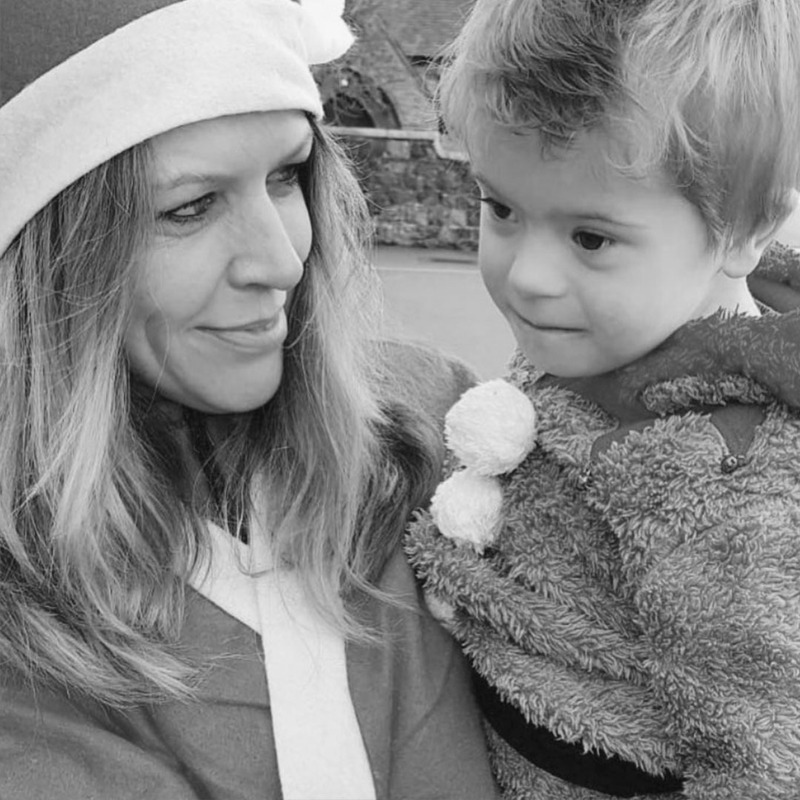 It does not have a focus on Down’s Syndrome but behind the chaos anyone can see Ted adds rather than detracts from the love and laughter in our family. • If you are looking down a path you wouldn’t have chosen just remember: The thing you fear may turn out to be just exactly what you need; the journey may show you things you may not have seen and you might just become the person you never knew you could have been.